The name of this style is: Lyanna. 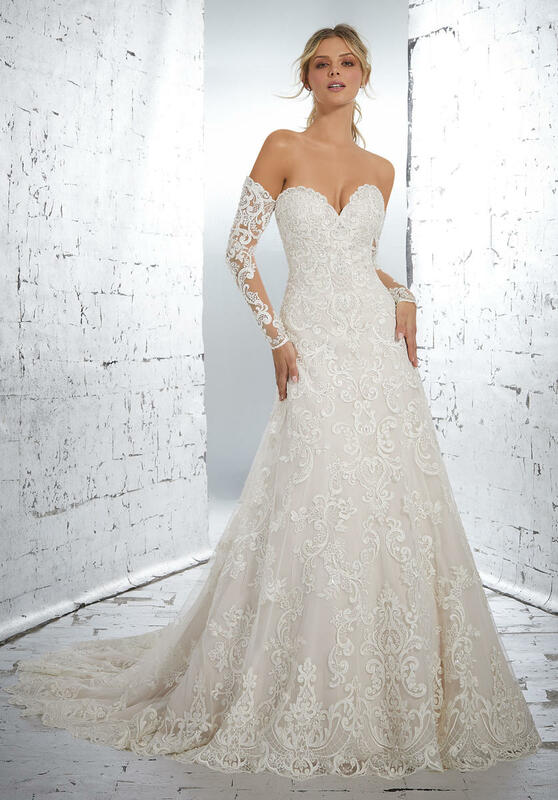 The fabric in this Angelina Faccenda Bridal by Mori Lee style is Crystal Beaded, Medallion Lace Appliqu�s on A-Line Net Gown with Detachable Lace Gauntlets. Available in Three Lengths: 55", 58", 61"